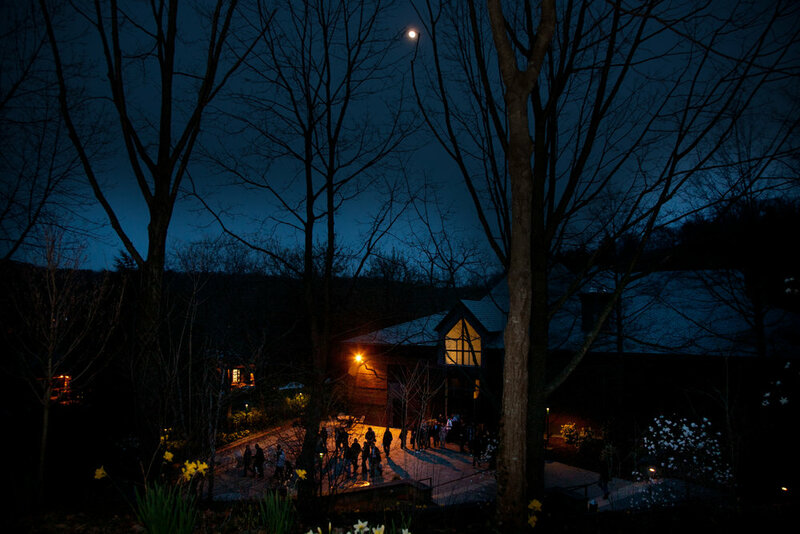 Cold Spring Harbor Laboratory (CSHL) may be the home of almost 600 students, postdocs, principal investigators, technicians, and scientific staff, but it also becomes the temporary home of ~8,000 researchers each year via events that CSHL Meetings & Courses Program organizes and hosts. 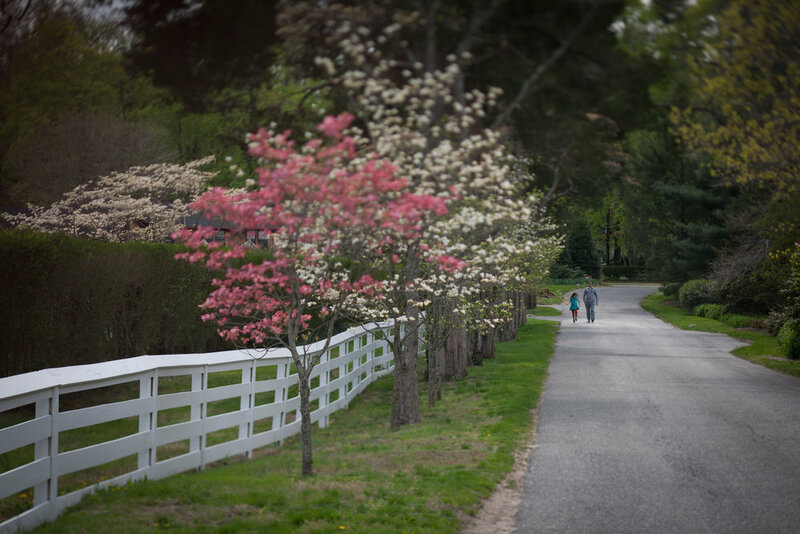 Many are first-time visitors and they become enthralled by the beauty of our harbor-side campus, returning to their home institutions with immediate plans to come back to CSHL. To assist our first-time visitors and ensure they make the most of their maiden voyage to CSHL, we asked several resident scientists and staff members to share some “insider” tips. Their words of wisdom provide the perfect crash course for all who step foot on campus! Let us first get a lay of the land. “The parts of campus you will want to visit are accessible by a beautifully manicured staircase. 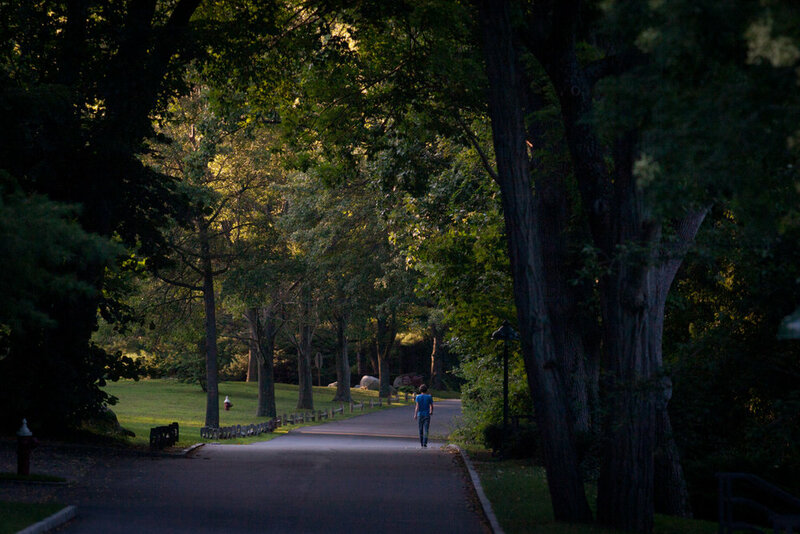 It’s the most scenic way to a lot of CSHL buildings and has the least car traffic,” says Jonathan Ipsaro, a postdoctoral fellow in structural biology who’s been at CSHL since 2010. To become acquainted with the Lab, refer to this map. Whether on a campus tour or a quiet stroll, you will come across CSHL’s impressive collection of science-related art that is sprinkled throughout campus. In addition to outdoor sculptures like the popular Waltz of the Polypeptide, CSHL is home to two Dale Chihuly installations. Many resident scientists and staff members list these glass sculptures as must-see attractions. One hangs in the Marks building entryway while the other can be viewed either from the Dutch Stairs between Axinn Laboratory (Map #20) and Wendt Laboratory (Map #36), or from within Wendt. 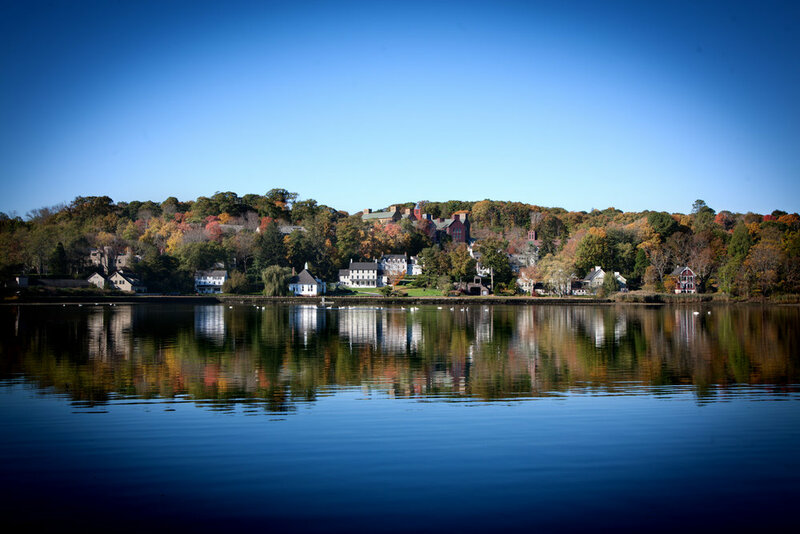 Cold Spring Harbor Laboratory is a historical and breathtaking place many proudly call their home and place of work. If you’re coming onto campus to train at a course, check out our #cshlcourselife series for more tips on preparing for your time with us. For those participating in a meeting, you can find advice on making the most of our meetings here. Career Dinner during the Eukaryotic mRNA Processing meeting in 2017. Professional meetings are an integral part of a scientist’s career: they are a primary means by which scientists stay current on the latest progress in their fields, and they are also venues for scientists to network and find new collaborators, colleagues, and mentors. 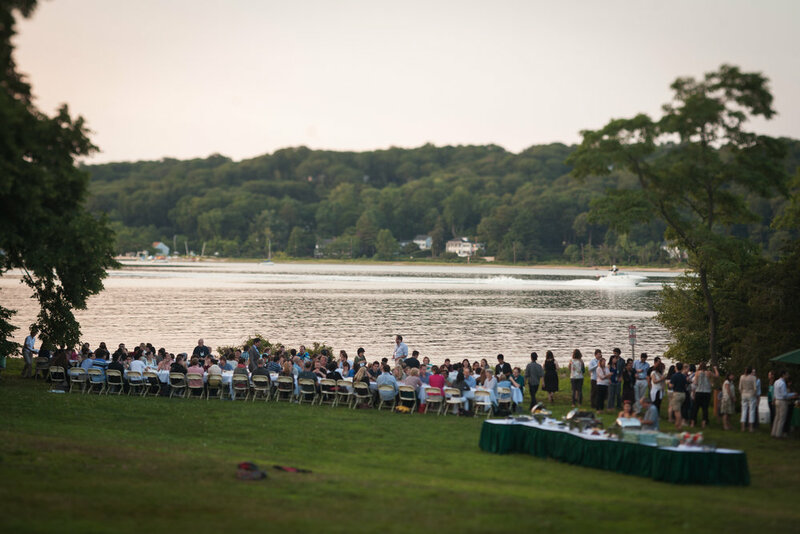 Every year, the Meetings & Courses Program at Cold Spring Harbor Laboratory hosts thirty or so meetings that are well known for fostering personal and professional connections among scientists. Indeed, connection is at the heart of every CSHL meeting. Many include ancillary events beyond the standard oral and poster sessions that provide participants with a casual atmosphere to meet, speak with, and learn from one another. Two events in particular are for the express benefit of the graduate-student and postdoctoral-fellow participants: Career Dinners and Meet the Speakers luncheons. This post will orient and guide you through these events as well as two tools that are essential for nearly all scientists: elevator pitches and networking (while introverted). The discussion topics for a given career dinner are drawn from the experiences of senior scientists at that meeting, as they are the designated mentors at the event. Like the Career Dinner itself, the topics are meant to start conversations that can be continued throughout the meeting or over email once the meeting concludes. Who: Students and postdocs interested in speaking with independent investigators, professors, senior scientists, journal editors and industry professors who volunteer to serve as the dinner’s advisors and mentors. When: During the regular meal break one evening at a meeting, usually between 5:30 and 7:30 PM. Doors open around 5 PM, and we recommend claiming your seat early as spots are offered on a first-come, first-served basis. Where: Clarkson Dining Room, located two floors below the main dining area in Blackford Hall. Note: Food is served only in the main Blackford Dining Hall starting at 5:30 PM. Dessert, coffee, and tea are available in Clarkson throughout the dinner break. Determine your top 2 or 3 discussion topics. You’ll receive the list of topics via email a few days before the meeting starts, and they will also be listed on printed flyers and posters throughout Grace Auditorium. Prepare a short list of questions along with your elevator pitch. Note that the pre-assigned discussion topics are not meant to be binding, so we encourage you to ask what you’d like. Claim your seat at a table designated with one of the topics you’re most interested in. Don’t choose a seat that has a name card, as that’s reserved for one of the mentors at the table! If anything’s unclear, ask the Meetings & Courses staff member(s) overseeing the career dinner. They’ll be able to tell you where a particular PI is sitting, what will likely be discussed at a given table, and where you might want to sit based on your interests and career level. It's entirely your decision when to grab dinner in the main Blackford Dining Hall. However, going through the buffet line midway through the event provides you with a chance to switch to another topic/table if you’d like. If you’re attending with a friend or lab mate, you can each select your seat strategically and switch midway through. Introduce yourself to others, including people who aren’t the designated mentors. It is a networking event, after all! Finally, relax and enjoy the conversations. The mentors are meeting participants who volunteered for the event, and they genuinely want to talk with you. Meet the Speakers luncheon during the Protein Homeostasis in Health & Disease meeting in 2018. CSHL organizes and hosts “Meet the Speakers” lunches at about 10 meetings each year. These events are reserved for mid-sized meetings that also have large proportions of student and postdoc attendees. They are quite casual and don’t have pre-assigned discussion topics à la career dinners. Instead, the mentors participating in a lunch are typically speakers at the meeting who have just given their invited talks, so asking about their research is a great way to open the dialogue. Who: Students and postdocs interested in connecting with a meeting organizer, invited speaker, session chair, or keynote speaker. When: During every lunch break at a meeting, usually between noon and 2 PM for two or three days straight. Doors open at 11:30 AM, and we suggest claiming a seat before going through the lunch line, as spots are offered on a first-come, first-served basis. Where: Racker Reading Room, located across from the main dining area in Blackford Hall. Determine which speakers you’d like to have lunch with. You’ll receive the schedule of participating speakers via email a few days before the meeting starts, and it will also be listed on flyers and posters throughout Grace Auditorium. Prepare a short list of questions along with your elevator pitch. Lunch is served in the main Blackford dining area (across the hall from Racker), in the Clarkson Dining Room two floors down, or sometimes at a grilling station outside on the Blackford patio. Menus for all locations are posted outside the Racker Reading Room. 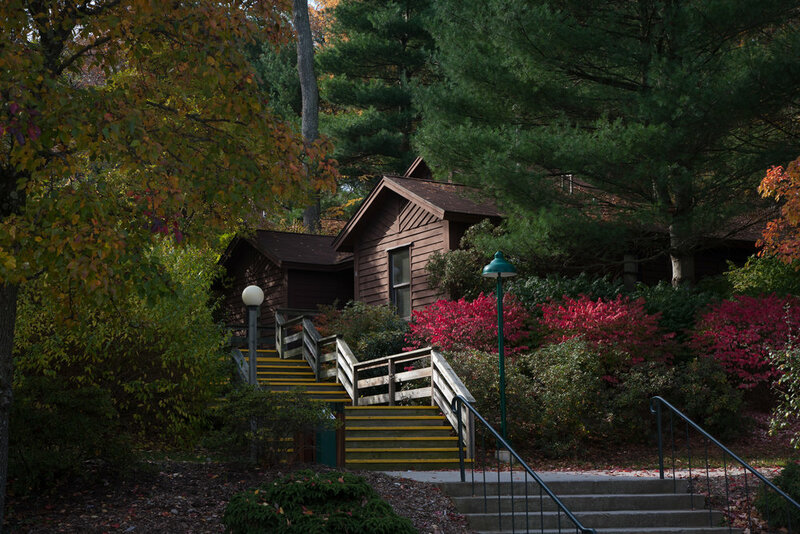 Whether it’s to explain your research, explore opportunities, spark potential collaborations, catch up with old friends, or meet new ones, a lot of conversations happen during a CSHL meeting. Because of this, it is a good idea to prepare a short description of your work, or an “elevator pitch” describing it, and be ready to give it at a moment’s notice. This Nature Jobs feature provides tips for constructing a good one because “[giving] an effective elevator pitch is a crucial skill” for scientists to cultivate. Navigating a scientific conference can be overwhelming, especially for those who are naturally introverted. However, there are ways to maximize your participation in a CSHL meeting regardless of how introverted or extroverted you may be, and ensure you return to your home institution with new ideas, colleagues, potential collaborations, and professional connections. CSHL meetings never include parallel sessions, so attendees experience every aspect at the same time and most importantly, together. As a result, a sense of familiarity develops because you run into the same people in the auditorium, at the poster sessions, during coffee breaks and other ancillary events, and at meals. This familiarity is by design: it creates natural icebreakers and helps foster conversations, discussions, and fortuitous encounters. Rest assured, this feeling is quite common! To mitigate it, try setting realistic goals for yourself. “I will talk to one faculty I didn’t know before and learn something useful,” is much less daunting than “I will talk to all faculty members by the end of the week.” Too often, the idea of networking implies attending every social event, introducing yourself to large numbers of people, and increasing the size of your professional network by leaps and bounds. But it doesn’t have to be that way. Making a genuine connection with just one new person can positively impact your research and career. Another way to mitigate any introversion and shyness is to participate in structured networking events, like CSHL’s Career Dinners and Meet the Speakers functions . Such events are purposefully designed to be casual, focused on small-group interactions, and have built-in conversation starters. "What can I talk about?" Science, naturally! Introduce yourself to your fellow meeting attendees and ask the clichéd – but always effective – question of "What do you work on?" You would be surprised at the conversations that arise from that one question. Of course not! If you have a question about a talk at a CSHL meeting, try approaching the speaker during a coffee or meal break instead. “I enjoyed your talk and have a question about X” is always a great conversation opener. 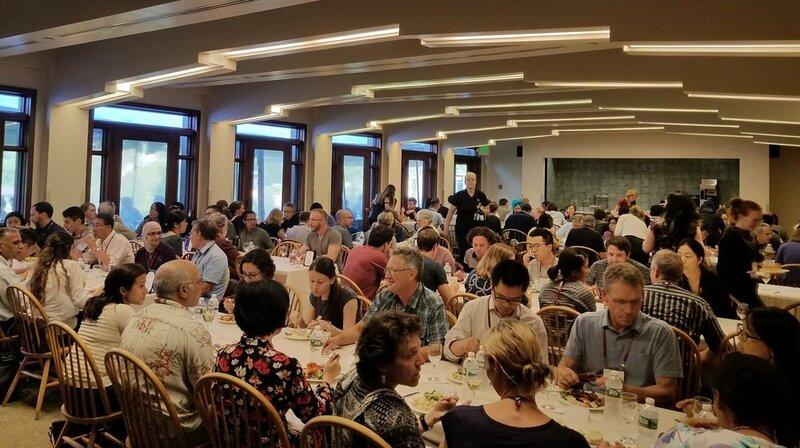 If you’re participating in a CSHL Career Dinner or Meet the Speakers luncheon, don’t be discouraged if the table you wanted to sit at is full. More often than not, participants move to a different table part way through the event, so there may be an opportunity for you to move into an open seat. Take the seat anyway – you never know what you’ll learn or with whom you’ll speak! At CSHL Career Dinners in particular, the “assigned” topic at a table is meant only to provide a starting point for discussion. It isn’t set in stone, and you can ask about topic(s) you’re most interested in or need advice on. Interested in learning more? Be sure to check out this and this article, written by and for introverted scientists. Also, this post is the first in a series from the CSHL Meetings & Courses Program aimed at providing information related to meetings at Cold Spring Harbor – keep a look out for the next post which covers abstracts and presentations.